As we’re getting warmer weather of the Summer months there is naturally an increase of pests and insects that will try to savage your garden and invade your home. Vacuum rugs thoroughly before spraying if you have wood lice or fleas living in them. Throw the dust bag out at once. We recommend changing the water in a birdbath every 3 days to help reduce the horse fly and midge population. As the majority of ant species prefer sunny climates, our climate is not suitable for many of them. However, the few species found here can be a nuisance when they get into your home. Garden or Black ants aren’t thought to carry diseases, the trouble is you don’t know where they’ve been foraging outside, so you won’t want them marching through your food cupboards. Ants will travel in a wide range searching for food, following trails they have established and clustering around the source of food and becoming a nuisance in the home. Small piles of earth around holes in soil and at the base of exterior walls indicate their origin. 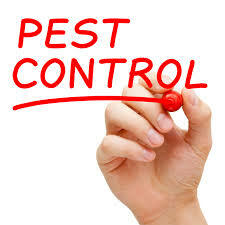 If they have managed to get into the home use either and powder, ant gel, ant spray or an ant bait station to get rid of the infestation which are available from your local Expert Hardware store. For more information call into your local Expert Hardware store.